YouTube and Facebook are very compatible with each other so learning how to embed youtube facebook status is a very easy process. This tutorial is going to show you how. First of all you need to go to YouTube and locate the video that you want to insert. Here we are going to post a music video. 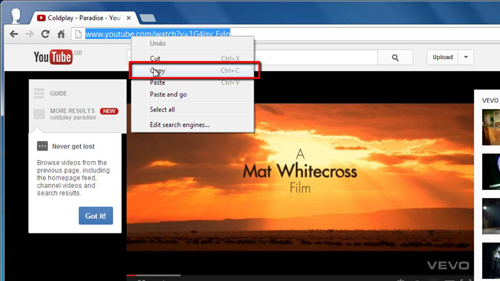 Once you have opened the videos page go to the address bar and highlight the videos address, right click on this and click “Copy”. Now you need to go to Facebook, visit: “www.facebook.com”. You will start on the “Home” page of Facebook and at the top you will see a box which is labeled “Update Status”. Here you can enter some text to go with the embedded video, here we are writing “a great song”. Now, go to a new line and paste the address we copied earlier. Facebook will load additional details about the video and a thumbnail will automatically appear. 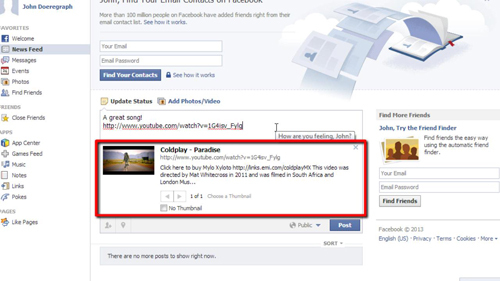 Finally click “Post” and that is how to embed youtube facebook status.